After you reach age 70.5, the IRS requires that you take distributions from pre-tax accounts. The reason is that the money has never been taxed before, and removing that money from tax-deferred accounts will result in revenue to the US government: when you take a distribution, you’ll generally owe income taxes. Uncle Sam doesn’t want you to keep that money protected from taxes forever, thus the need for these required minimum distributions (RMDs). After age 70.5, IRS rules say you’ll need to withdraw the money according to your life expectancy: you’ll withdraw at a rate designed to empty your account at roughly the same time you die. Of course, nobody knows how long you’ll actually live, so standard tables are used to determine how much you need to take out (based on “average” life expectancy). The amount you’re required to take will increase each year (because you’re statistically closer to your expected death). The amount you withdraw starts at roughly 3.65% in the first year, and goes up from there. For example, if you have an account worth $100,000 (or for every $100,000 in your accounts), you’ll need to take out $3,650. The word “required” is fitting. If you fail to take an RMD, you’ll have to pay an excise tax of 50% of the amount you were supposed to take out. As a result, there’s no incentive to skip RMDs – you’re typically going to owe more money if you fail to take the distribution (compared to the income tax you would have paid on the distribution). For your first one or two distributions, you may be unsure exactly how to take the money out. In order to follow the rules, you simply need to take a distribution from your account for at least as much as your RMD for the year. Example: your RMD is $1,000. You’ll need to withdraw at least $1,000 during the calendar year (before December 30th in most years) to satisfy the requirement. If you withdraw $1,500, you will meet the requirement for that year. What if you take out more than your RMD? That’s fine, but the excess you took will not count for future years. In other words, there are no “rollover minutes” for RMDs – your next year’s RMD will simply be based on your account balance at the end of this year (without any regard to extra distributions you took in previous years). There may be some minor reduction because your account balance will be smaller than it would have been if you only took the RMD amount, but this difference is only significant if you take a significant portion of your account. To make it happen: just call and ask your bank, investment provider, or financial advisor to process your RMD. Your verbal request might be enough to process the distribution, or you might need to submit a form. To ensure that you don’t miss the deadline, make your request at least several weeks before the deadline. The funds can often be sent by check or electronic deposit to your bank account. If you have multiple accounts with an investment provider, including taxable accounts, it may be possible to just move the assets over to a taxable account. It’s best to automate your RMDs so that they’re more likely to happen – and you’re less likely to pay the penalty. Most investment providers will accept instructions to pay out your RMD every year – year after year – without any further input from you. Even if you get busy or forgetful, they’ll ensure that you’re following IRS rules. When to distribute: in most years, your RMD must be completed before December 30th (the exception is that your first RMD can be done by April 1st of the year following the year you turn 70.5, but you need to cover two RMDs in one year if you take that route). Just to be safe, it’s wise to schedule that RMD well before year-end. For example, setting up RMDs to occur every year on October 15th will give you some breathing room if a problem arises – you’ll have a good two months to contact your investment provider and confirm that your distribution was processed. People may debate how much you’ll earn on that amount throughout the year (or during those last two months), but the risk of losing to excise taxes is significant. Generate cash? In many cases, your investment provider can process your automatic RMD without any communication from you. However, certain accounts may hold investments that need to be (at least partially) sold to generate cash in the account. It is possible to take “in-kind” RMDs, but that is not something that every investment provider can accommodate. You may need to sell shares of stock or mutual funds to create cash in the account, so be mindful of settlement delays if you’re cutting it close. It can take three business days for the proceeds of a stock or ETF sale to become available. Retirement account holders often say they don’t actually need the money from an RMD (otherwise they would have already taken it out). So what do you do with money from an RMD? Reinvest: one option is to invest that money in a “taxable” account or other type of investment. It will no longer be in your tax-deferred IRA or 401k, but you can still try to grow the money if you don’t need it anytime soon. You can often use the same investments you had in your IRA – but you’ll probably have to report income and gains every year instead of deferring. Spend: another option is to spend the money. There’s no need to overspend – especially if you’re going to need that money later – but the money is yours to do with as you please. Find something worthwhile to put it towards, whether that’s regular expenses, gifts, or charity. Do you Need to take an RMD? RMDs are generally required for pre-tax accounts such as traditional IRAs and pre-tax 401k or 403b assets. However, there are some situations when an RMD is not required. Still working: if you’re still employed with an employer and you have pre-tax money in the 401k (with that same employer), you might not need to take RMDs until you retire. However, this exception is not available to certain employees who are also owners of the company, so talk with a tax expert before you skip an RMD and risk paying the penalty. 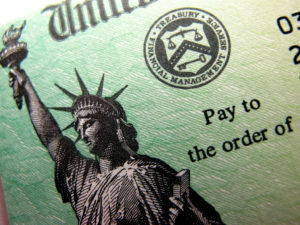 Roth IRA: because of their after-tax nature, Roth assets are generally not subject to RMDs. You’ve (hopefully) already paid all of the taxes you’re going to pay on those assets, so there’s little benefit to forcing the money out. Again, check with a tax expert if you have any questions. This page discusses tax rules that are complicated and which may change. This page might not be accurate, or it may not be relevant to your individual situation. Speak with a local tax preparer, CPA, or other tax professional before making any decision (to take any action or to choose not to act). This information is general and educational in nature, and is not written with any knowledge of your situation. You deserve individualized advice, and that advice may help you avoid an expensive mistake.